WIN your prom dress ….. We are hosting a Prom Party on 20th January 2014 at The Crown and Mitre Hotel in Carlisle, Cumbria. All kinds of exhibitors for both the prom princess and the prom prince will be available to talk to, from gent’s grooming to nail and beauty specialists and photographers who will come and snap you and your friends as you get ready for the big night out.Register now for your FREE ticket by calling us on 01228 595956. 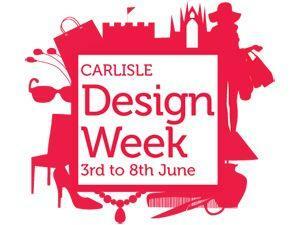 The Wedding Warehouse are delighted to be part of Carlisle Design Week. We will be featuring live window models and a small catwalk in the Dickinson Furnishers Store in the centre of Carlisle on Friday 7th June 10am – 12pm and Saturday 8th June at the same time. The week is being encouraged to highlight the various local companies around the county who deal in or with design. Here at The Wedding Warehouse we not only design our own dress collection but we also deal with specialised designers on a daily basis. Come along and see the best of the best in store. There are many offers available to customers too from all the companies taking part in the week so don’t miss out. Come and say hello……..